I’m just stopping in to say how much I hate housework! Cleaning, laundry, grocery shopping – I hate it all and unfortunately that’s how I’m spending my days BUT it will be worth it because I’m getting ready for a visit from my Mom, sister, and niece tomorrow. They’re traveling from Maryland and Virginia to visit me here in Minneapolis and I can’t wait! Because whatever arrhythmia I’m having is acting up, I’m having to take frequent breaks and am spending that time sorting through the 820 photos I took on the Alaska trip. That’s not as impressive as it sounds because I typically take 2-5 photos of any one scene trying to get the perfect photograph so I have LOTS of sorting to do. 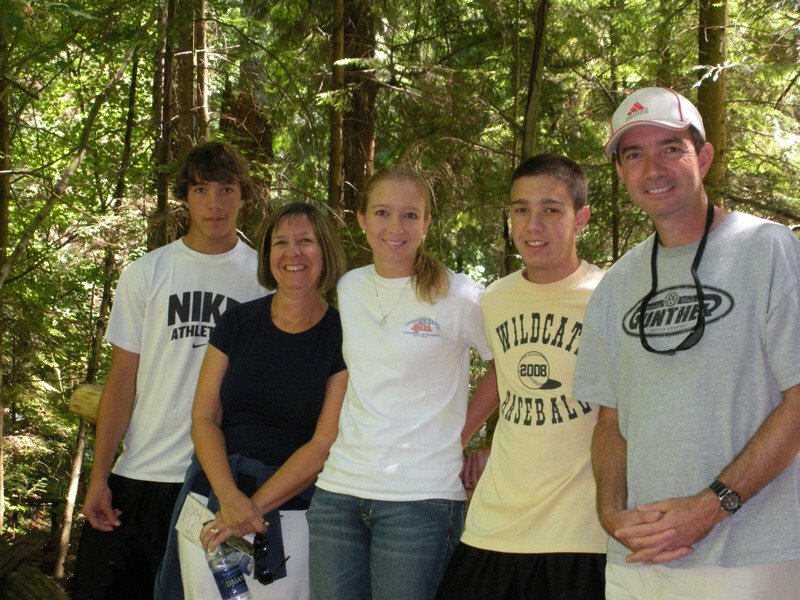 I mentioned that we traveled not only with our sons and DIL but Keith’s brother’s family. We have such a great time with them and miss living close by. They’re in Florida and while 9 of our 19 years of marriage were spent living in South Florida near them, we moved away for the second time 6 years ago. And yes for anyone who might have picked up on it – we have TWO Mary Johnson’s in the family! I’m with you on the housework! Is it Monday you go to the doctor? Take it easy!! That’s kinda neat to have a SIL named Mary! What a great looking crew. 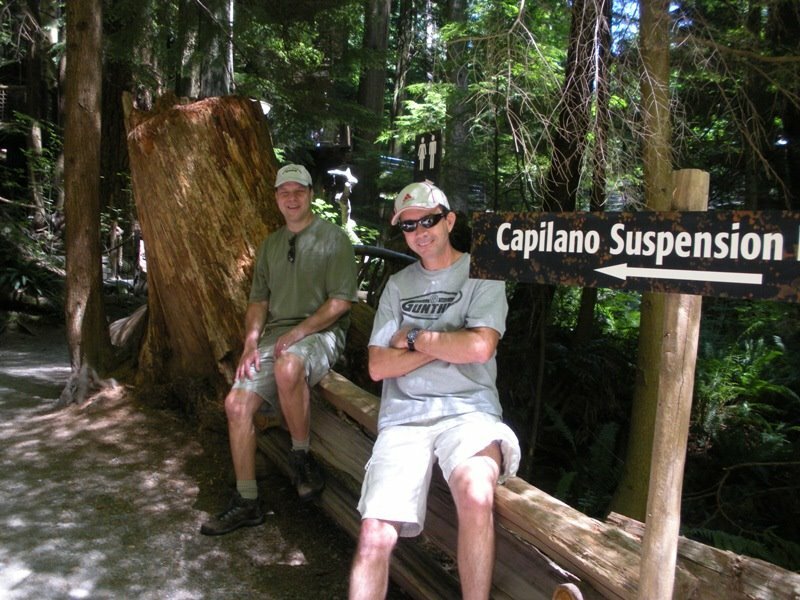 Did you cross the Capilano Suspension Bridge? We did and loved it!I like housework, at least my own housework. Take care of yourself!PS – I love your Dots lunchbox and the gifities inside. Be careful of that arrythmia! They can fit a pacemaker to even it out.Loved your goodies.Am also loving your photos.I too, hate housework, & feel it should do itself. Since Gom took over the vacuuming, I get a break from that at leas! I had a severe palpatations episode 9 years ago. It ended up being stress that caused it and it was straightened out with a beta blocker. I hope yours is as easy to fix. Mary it is so fun to read your blog entries about Alaska, my hubby and I returned from Alaska just 10 days ago — amazing trip! We also traveled with Princess — it was good! The daylight for 23 hours really threw us off, but the sights were incredible!Take care Mary, feel better soon!! love your photos Mary-gosh, hope the heart thing works out..how fun to have your family come to visit-worth all that rotten housework!!! Love your blog, Mary, your pics are wonderful! It gets confusing have two people in the family with the same name, doesn’t it? I’m Nancy, my brother is Roger, he married a Nancy and I married a Roger – talk about confusing conversations! Take care of yourself – good luck at the dr.